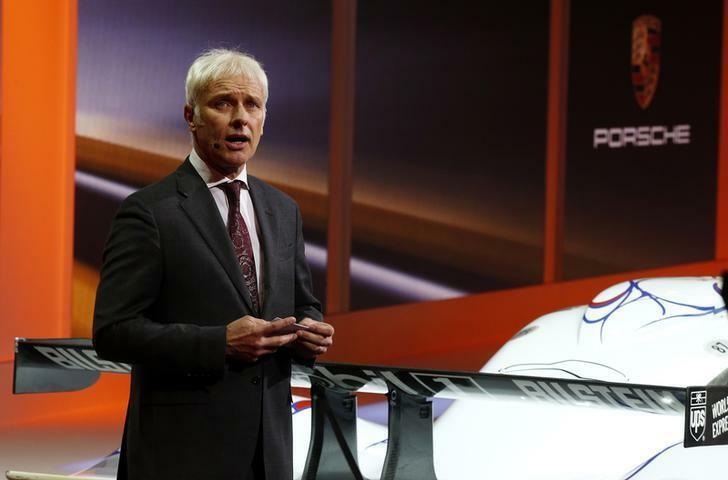 FRANKFURT (Reuters) - Volkswagen Group (VOWG_p.DE) is set to elevate Matthias Mueller, head of its sportscar brand Porsche, to its management board next week, a source familiar with the matter said on Thursday. Volkswagen and Porsche declined to comment. German newspaper Frankfurter Allgemeine Zeitung (FAZ) had earlier reported Mueller's possible promotion, saying in an advance copy of its Friday edition that the agenda for Volkswagen Group's supervisory board meeting showed Mueller was due to be promoted. Volkswagen, which also owns the Lamborghini, Bentley, Audi, Bugatti and Skoda brands, has a two-tier board structure, with the supervisory board akin to a board of directors having responsibility for management board appointments.